Here are some December birthdays for Lincoln’s friends and foes. And perhaps a few contemporaries who lived during his time but whom he may not have been personally acquainted with. 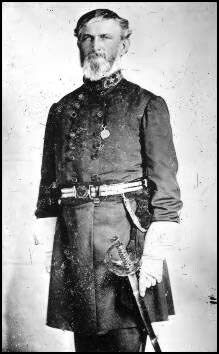 George B. McLellan – Major General (Union). Born December 3, 1826. Age 186. 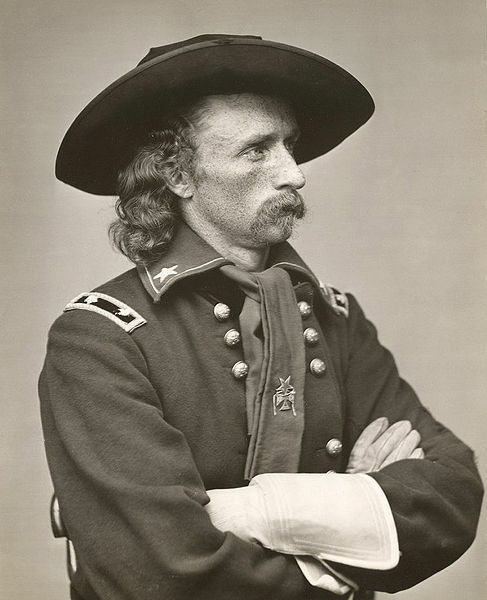 George Armstrong Custer – Major General (Union) & Indian fighter. Born December 5, 1839. Age 174. Henry Wells – Founder of the American Express Co. and Wells, Fargo & Company. Born December 12, 1805. Age 207. 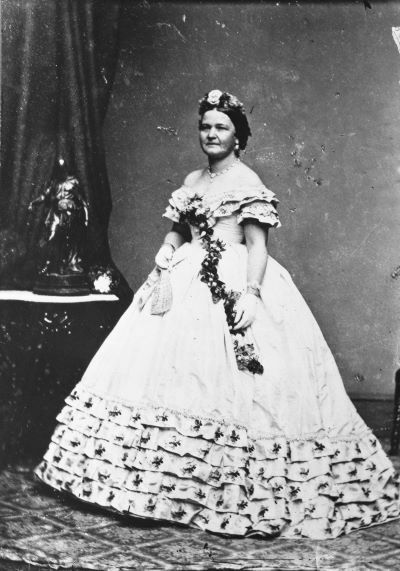 Mary Todd Lincoln – Wife of President Abraham Lincoln. Born December 13, 1818. Age 194. Brevet Major General John Hartranft – Read the Order of Execution on the scaffold to the four condemned Lincoln conspirators. He later became Governor of Pennsylvania from 1872 to 1879. Born December 16, 1830. Age 182. 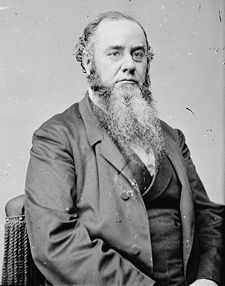 Edwin M. Stanton – Secretary of War (1861-1865). Born December 19, 1814. Age 198. Dr. Samuel A. Mudd – One of eight Lincoln conspirators put on trial for Lincoln’s assassination. Dr. Mudd set John Wilkes Booth broken leg while on the run. Born December 20, 1833. Age 179. 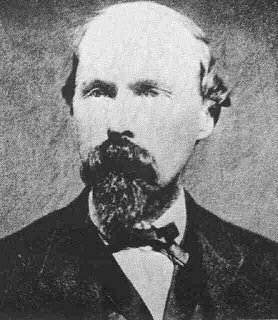 Christopher “Kit” Carson – American frontiersman. Born December 24, 1809. Age 203. Ed Isaacs holding the diary from his great great grandfather George E. Dixon. Hi all: I wanted to share some exciting news with you today. Two weeks ago, I was contacted by Mr. Ed Isaacs from Norwalk, Connecticut whose great great grandfather was a guard at the Old Arsenal Pentitentiary in Washington D.C. in the spring/summer of 1865. The soldier’s name was Sgt. George E. Dixon. He not only acted as a guard at the pentitentiary but was assigned inside the courtroom during the Lincoln conspirators’ trial. As well he witnessed the executions of Mary Surratt, David Herold, George Atzerodt and Lewis Powell on July 7, 1865. What is particularly thrilling about this is that George E. Dixon wrote a diary and recorded notes and his personal impressions from these events. On March 18, 2009, the diary was obtained by Ed Isaacs, the great great grandson of Sgt. 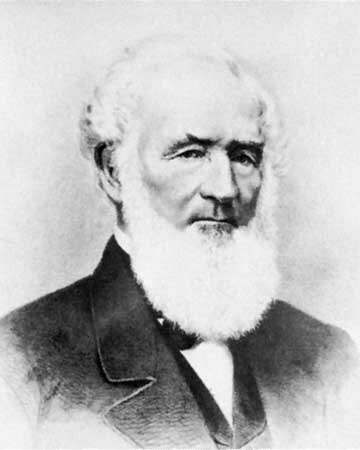 George E. Dixon. On March 23, Ed graciously shared some of his excitement with me as well as the contents of the diary. 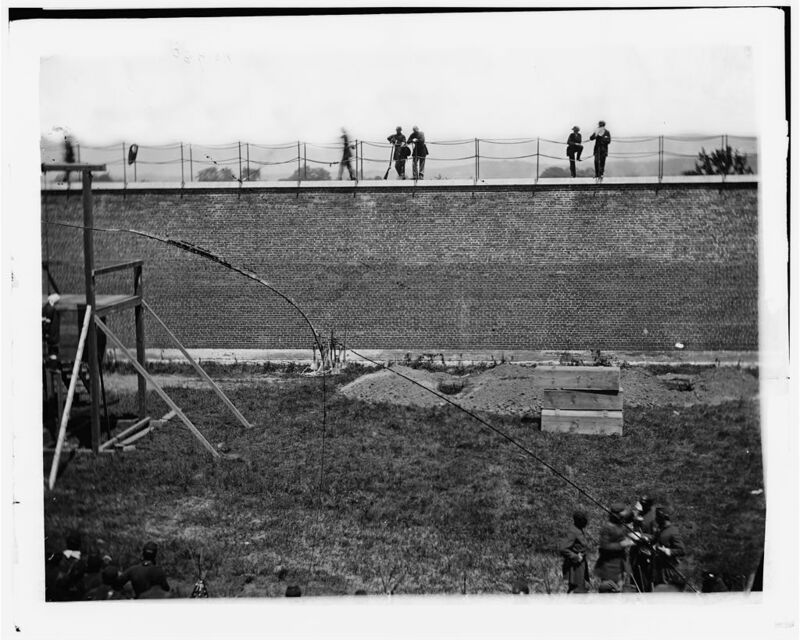 I can say that I was overjoyed to see what was on some of its pages and know that a small piece of previously unknown history surrounding the conspirator trial and executions had come to light. Ed asked if I could help him better understand some of the content on the pages. Currently we are in touch with several Lincoln researchers and the information coming back has been very exciting. 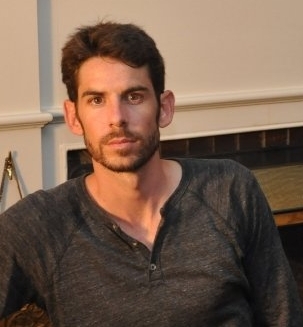 I interviewed Ed on April 9 and the story is posted at https://awesometalks.wordpress.com/2009/04/10/an-awesometalk-with-ed-isaacs-owner-of-civil-war-diary-from-soldier-who-guarded-the-lincoln-conspirators/. 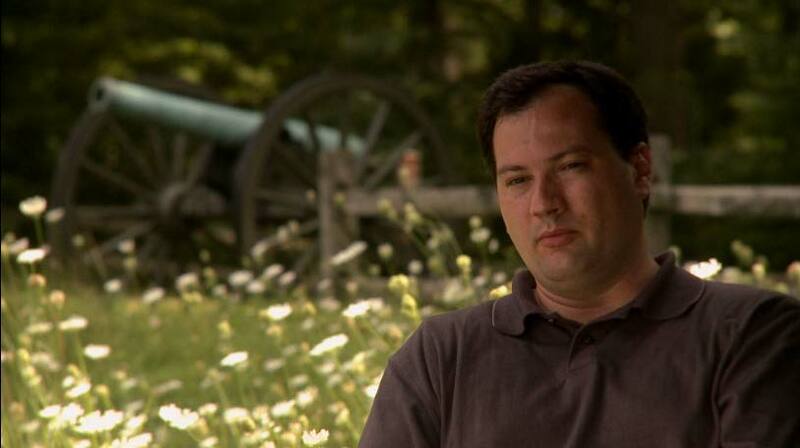 “AN AWESOMETALK WITH” Harold Holzer, eminent Lincoln Scholar and Civil War expert. Tuesday, November 04, 2008, 2:30p.m Duration: 36 minutes. BC: Today I start a new feature on ‘A Little Touch of History’ called “An Awesometalk with”. 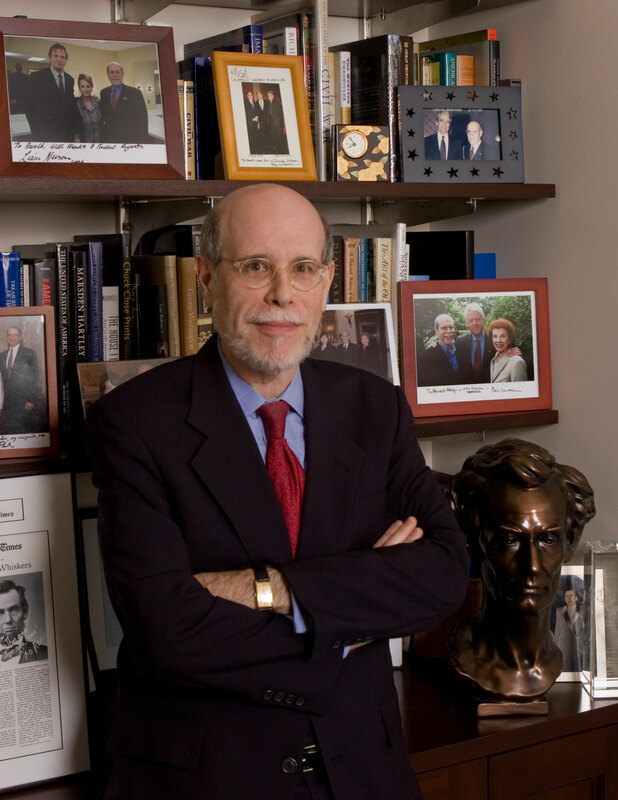 It’s my honor to introduce my very first guest, Mr. Harold Holzer, eminent Lincoln scholar and Civil War expert. Mr. Holzer has authored, co-authored or edited over 31 books, written over 400 articles and participated frequently in various media events and lectures. He is the Senior Vice President, External Affairs with The Metropolitan Museum of Art in New York City and the Co-Chairman of the United States Lincoln Bicentennial Commission. On several occasions Mr. Holzer has generously shared his expertise with me to help ensure that the information presented here, in my blog, is accurate. I want to thank Mr. Holzer for his kindness and welcome him to ‘A Little Touch of History’. Welcome Mr. Holzer. HH: Thank you. It’s great to be with you. You’ve exhausted me just reading those credits. But now I know why I’m so tired. BC: I’m sure (laughing). It’s kind of ironic that this is the first day we get a chance to talk live, although we have corresponded in the past, this being November 4th, Election Day. And that leads me into my first question. It’s been a long campaign for the candidates running for this presidency. How do you compare this campaign to the one that lead up to the election of President Lincoln in 1860? HH: Well you’ve certainly touched on the more obvious of the first point, which is that the 1860 campaign, and all the campaigns in that era, was mercifully shorter. If you include the ‘run-up’, as they call it today, Lincoln gave some speeches in November of 1859 and then was elected a year later. But the interesting thing, and the big difference is that, after his Cooper Union speech in New York City in February of 1860 (arguably the speech that propelled him into position to be a contender for the nomination), he said nothing. He did nothing. He traveled nowhere. He stayed at home. So did two of the other three candidates for President. The only one who traveled was Stephen Douglas and he was mocked and taunted for doing that because it was not considered appropriate. So it was certainly a noisy campaign. It was filled with activity. But the candidates, basically, were not part of all that frenzied activity. It was all surrogates. BC: Once Lincoln won his election, it was that period between then and the inauguration, that a lot of very interesting reactions to that election took place. And it was pretty well the foundation for the Civil War that was to follow shortly. You’ve just released a book “Lincoln President-Elect: Abraham Lincoln and the Great Secession Winter 1860 -1861”, which covers the turbulent months between the election and that inauguration. Can you tell us a little bit about your book and how President-Elect Lincoln handled himself during that crisis? HH: Um yeah, I can tell you a lot! HH: The harder way is to tell you a little (laughing). Let me start by saying that it was a four month transition. My argument in this book is two fold. First I argue that his actions as President-Elect have not been fully appreciated, that if he had not preserved the integrity of the Presidency he wouldn’t have been President. He might not have ever been inaugurated. He took enormous precautions about his own safety, about political fairness, about creating the right kind of cabinet, about writing the right kind of inaugural address and also about being quiet when too much noise might have upset the precarious balance that was holding things together in the North, not just the South. So I could have written a book that listed all of the challenges that he had in sections. In other words, I could have listed cabinet selection, inaugural address, the trip to Washington, political pressures, patronage appointments. But if I had done it that way it wouldn’t have given a fair or an accurate view of what Lincoln’s life was like, and really what the national life was like in that period. And it was turbulent. All of these things were happening at once. All of these challenges were hitting at once. And every day of his secession winter he face appointments, cabinet problems, writing correspondences whether to speak or not to speak, where to go, and also all the little personal things that happened. So I just put them together, day by day practically. And I think it gives a real portrait. I can say that there was a critic who, otherwise wrote a very nice review of the book in the Washington Post, said that I had sort of spoiled things for her because she had long believed in the notion that Lincoln grew in office and became great as the challenges got greater. And I’ve ruined it by showing that he was great earlier. So I apologize, but that’s sort of the way it is. BC: I think that’s a very good point, because he showed, prior to his running for President, a certain strength. But it does sound like in that particular secession winter he really came into his own! HH: I think so. And I think it’s been read the wrong way by previous historians. They all thought that it was a period when he didn’t understand what was going on and he had to get there to “get it”. He made a commitment not to allow slavery to be perpetual and to expand, and he stuck to his guns, as far away as he was from the action. You know for every month he would have not done it he would have delayed real freedom and inequality in America by another ten years. So, I dare say Barack Obama would not have been a presidential candidate in 2008 if Abraham Lincoln had made the wrong moves in 1860 & 61. BC: Just a quick sidebar Mr. Holzer. Were party politics as strong back then? Did the President really have power or did he have to follow party lines? HH: I think party politics were even stronger! Every city had a Republican newspaper and a Democrat newspaper. You could count on your party to back you even if you were ridiculous. And the other people would oppose you no matter how sensible you were. I think he worried about congressional alignment, about whether he would get his cabinet nominees ratified. And it was very partisan. I know that both candidates for President this time around talked a great deal about ending partisanship. Well you know it’s much better today then it was then, much calmer and much more open. I think we don’t appreciate how non-partisan we are in many ways. BC: I noticed that your website lists the various locations you appear at and that you have a pretty strenuous tour schedule. Between book signings, book tours, lecturing on numerous Civil War and Lincoln events, and obviously giving TV, radio and blog (thank you very much) interviews, where do you find time to balance your life between these and all your other commitments? HH: Ah, I have no idea how I do it. I mean I just survived the first couple of weeks here with Atlanta and Demoine and Springfield. And it’s really going to start with intensity now but fortunately the next week is all in New York City. I have four different talks next week. I don’t know. I really love it. So I guess I absorb energy from the appearances and the book signings and the talks. And I guess I’m a little bit of a ham, so that helps. But I do have other things. I mean I have a full time job and I do take that very seriously. And I have a wonderful support staff here that helps the museum to continue its growth and its outreach to people from around the block and around the world. And I have a new grandson, so that’s pretty important too. HH: You know it’s not that new. He’s 13 months. BC: I have two step-grandchildren of my own and they’re an absolute blast! HH: Oh it is just the greatest. It’s just as great as everybody said and that’s why the book is dedicated to him and to my late father for whom he is named. So, this young man has three books named for him in one season. BC: (Laughing) Later this month, November 19th, the nation is going to celebrate the 145th anniversary of the Gettysburg Address. BC: And I understand that you’re going to be in Gettysburg, if I remember your schedule correctly, November 16th through the 19th! BC: And are you doing any public appearances or book signings during that time? HH: Yes. The first thing I’m doing is the annual Lincoln Forum which is an event that meets every year. It’s the 13th anniversary. People register and pay out a registration fee. We have about ten scholars coming to give talks. So I am going to talk there. But I am also speaking at the Gettysburg Cemetery at the November 19 event. We’re unveiling the Lincoln Commemorative Coin on that day, which people will be able to buy and collect. And the revenue from which will support Lincoln activities in years to come. Also we’ll be doing a book signing. A few of my colleagues and I, who have written new books, will be doing a book signing at the new Gettysburg Visitor Center at around 2:00 pm on the 18th of November. So it’s going to be a busy time. BC: Something personally just for yourself (laughing)? HH: More to come. I can’t talk about it much right now. Stay tuned! The Gettysburg Visitor Center is a gorgeous place. HH: I know. I’ve seen it. It’s really beautiful. And I love a book store that’s filled with people. So that’s what I love about it most, is that it’s filled with people who love to buy books about Lincoln and the Civil War. BC: I was one of those people! I stood in a long line-up that day to buy my books. But it was worth it. Another major event coming up in 2009 is obviously the 200th anniversary of Abraham Lincoln’s birthday. And as I mentioned earlier, you are the Co-Chairman of the United States Lincoln Bicentennial Commission. BC: Can you highlight some of the national activities that are planned for next year and share them with us? HH: I can! I think what I’ll concentrate on is February 12, Lincoln’s actual birthday. There are going to be big events in Washington such as the rededication of the Lincoln Memorial in the morning. There’s going to be a joint session of Congress. There will be the opening of a huge exhibition on Lincoln at the Library of Congress. Meanwhile there’ll be exhibitions at The National Portrait Gallery and the new Smithsonian of American History. That would already have opened. The night before the 12th, Ford’s Theatre will reopen with a special concert and a dinner and the opening of the Ford’s Theatre Museum. The Soldiers’ Home, where Lincoln had his summer White House, is going to unveil a Lincoln statue. Now that’s all in Washington. Things will be happening in other cities and anyone who wants to know more about what’s happening needs only go on www.lincoln200.gov and get the full schedule. There’s a lot going on. BC: Terrific. Thank you. Regarding a couple of locations you mentioned, the Smithsonian and Ford’s Theatre, I’ve had some indirect advance looks at those exhibits and they are awesome. HH: Yeah, they’re going to be great! BC: I cannot wait to get back down there and see them when they’re open. One thing with the Bicentennial approaching, there’s an overwhelming choice of books that will be coming out this year and next. I can’t even guess how many new books are coming out. HH: We think there are going to be about 30 between the fall season that began about a month ago and the end of ‘09. BC: And overall, would there be about a 1000 books that have been written over the years? HH: If you include pamphlets. Yeah. BC: Well I’m looking to help your average student, who either wants to begin, or further their education, on the 16th President of the Unite States. Are there any books that you could recommend that are more beginner level? HH: “Team of Rivals” by Doris Kearns Goodwin was really wonderful. “Lincoln” by David Herbert Donald, for people who know about history and just want a good life with Lincoln. Those are two internally wonderful books. And then for people who know more about Lincoln already, there are some among this group of new books, (such as) “Lincoln and His Admirals” by Craig Symonds, “Tried by War: Abraham Lincoln as Commander in Chief” by James McPherson. There’s a book about Frederick Douglass. There’s a new book about Lincoln and Charles Darwin. There’s a second book coming about Lincoln and Darwin. There’s a book about Lincoln and Robert Burns. So you can go from very general to very specific very easily. All the good writers are coming out with Lincoln books this year. I have four of them coming out between now and next fall. So you have to be in this market. You can’t just wait. So I decided to plunge in. BC: I know the timing couldn’t be better. BC: I’m very anxious to get my hands on as many as possible. HH: Good luck. It’s not a great economic time to be buying them all, but I guess it’s worth it because the literature is so great. BC: During your career you’ve been honored with many awards and appointments, and have met and worked with famous politicians and statesmen. Would you describe one or two instances that really stood out as special for you? HH: Sure. I guess I’ll address the political side, as opposed to the show business side, which I also love. I have a real weakness for that I must say. I’m a real fan. I think the two are from 12-13 years ago. <The first being when> Mario Cuomo and I published our book “Lincoln on Democracy”. It had been inspired originally by a delegation of teachers from the Solidarity Union of Poland who had come to visit Governor Cuomo. They said to him that they really needed books now that their country was escaping from the constraints of the Iron Curtain and becoming free and independent. Cuomo suggested that they study Lincoln, and they said that they had no Lincoln, that the Communists and the Nazis, between the two of them, had removed all of the Lincoln. So he said he would get a book together and that’s when we wrote our book “Lincoln on Democracy”. And we got Lincoln scholars around the country to contribute and to suggest great letters and writings by Lincoln. And it was translated into Polish and Japanese and Hebrew and Indonesian and of course came out in an English language edition. The most memorable political, diplomatic event was when Lech Walesa came from Poland to receive the first Polish language copy. That was a pretty unforgettable day. The man who had helped liberate the country and who had wanted Lincoln on the bookshelves. And then I guess the other, to be completely non-partisan, was when President Bush invited Sam Waterston and me, to deliver our “Abraham Lincoln: Scene and Heard” program in the East Room of the Whitehouse. That was pretty thrilling, I must say. We had done it for the first President Bush and we were invited to do it for President Clinton as well but President Clinton was busy campaigning for Hillary. So we did it to a full auditorium but with only President Clinton on the phone. BC: I think those are both really special stories. BC: When we have an opportunity, I’d love to talk to you more about the Polish story. HH: Oh sure. That’s now lost to the mist of memory ‘cause we didn’t record things the way we do now in those days. But anyone who wants to see the East Room thing from a couple of February’s ago, or I guess it’s more like three now, you can get them on C-Span’s website. It’s in the C-Span archives and you can buy a DVD from C-Span and see the President and us and see that whole program. BC: Excellent. Are there any historical figures or events that you are personally interest in outside your field of specialty? HH: Oh yeah! I read a lot about FDR and Churchill. I was actually inspired to do “President-Elect” by reading a book by a friend of mine, Jonathan Alder, on Roosevelt’s pre-presidential period and his first hundred days as President. He described how he wouldn’t cooperate with Herbert Hoover and it sort of inspired me to start looking into Lincoln again. So, I can thank FDR for Lincoln just as FDR turned to Lincoln, I turned to FDR. HH: I used to read everything about John F. Kennedy. You know I was 11 years old when he was elected. I was enormously interested in politics because of him, and in government. And of course his death broke our hearts. And when it was over I read. I got all the picture books and the Life Magazine books and the Sorenson book and the Schlesenger book. And if I ever have time, I’d actually like to read the second wave of analysis of Kennedy. BC: Do you think Kennedy’s assassination spawned what I’ll call an interest in historians to start looking back at Lincoln with fresh eyes because of their similar ending? HH: You know it is…it is an interesting point I must say. I’ve never been asked that question before. It’s a really good question. It is interesting because it is almost ironic in a way, because Kennedy was very involved in planning the Civil War Centennial. When he got to be President, he found out that not much had been done to get the country ready to start celebrating the 100th anniversary of the Civil War. He got there on January 20th and the first event was supposed to be in April at Fort Sumter. And he really organized it. He fired the guy who was running it. He hired a new person. And ultimately, this person he hired had to find Lincoln’s catafalque for his coffin to rest on in the Capitol. So it came full circle. But he was very interested in it. And of course, when he was killed, people published this laundry list of eerie similarities. You know, everything from the serious to the … both men were succeeded by a man named Johnson. HH: Do you remember all those? HH: Same number of letters in their names. One was killed in Ford’s Theatre, the other was killed in a Lincoln car which was made by Ford. I mean it just went on and on. One had it that Kennedy had a secretary named Mrs. Lincoln and of course they were elected a hundred years apart. So I think it did spur interest and it certainly spurred interest in the assassination idea. HH: We could have gone through the whole interview and I could have just fantasized that you were old. HH: I am having a big birthday this year so it’s a touchy subject. But it’s better to have it then not have it! BC: On another personal note, what do you like to do in your spare time, if you have any? Do you have hobbies or interests? HH: You know I guess playing with the baby is my big interest now, when I can. I like to go to the theater. I go to one opera a year but I used to like to do that. And I love baseball so I go to a few baseball games every year. I used to watch baseball games like an idiot, just sit there and watch them. I don’t do that anymore. I do other things. But I watch baseball while I’m writing. It’s a great sport to watch when you’re writing ‘cause you don’t have to watch it all the time and if something happens you can just look up and see the instant replay. I have been watching 10 seasons of the Yankees without paying complete attention. And as an historian, I have to bid a sad farewell to the stadium this year. But that’s about it. As you say, I don’t have much time to do much of anything. But I do get to go to the theater. One thing I’ve given up is the movies, which I regret, because I used to love going to the movies and now it’s so easy to see them on TV. I love to read murder mysteries, British murder mysteries basically. And my wife and I try to watch one British murder mystery every weekend. You know some kind of thing that we get from the BBC catalogue or watch on one of the mystery channels or channel 13 mysteries. You know…PBS mysteries. That’s about completes my rather boring life. Now if I can just complete everything to make him like Lincoln, the Yankees, and go to the theatre, then I’ll have the perfect grandson. But he’ll be perfect even if he hates them all. BC: That’s true. But it can’t hurt to try some light handed influence. BC: Now I’m going to take you way back for a second, when you were a high school student. BC: What was your experience with history at the high school level? And the reason I’m asking is…is there anything you can say to today’s students who really struggle with getting an interest in history? HH: You know I have to say that I’m sorry about that. And I wish I was a better example of the right way to do it. I’m really not. I got brought into it by a 5th grade teacher. She inspired me to read. But I was never a really good listener in class. I don’t think you’d call it ADD but I was pretty bad in school. I wasn’t violent but I was, you know, the class clown kind of person. I think it was probably because I was younger than everybody in school having been advanced twice which was a big mistake socially, but not otherwise. And I never really conformed to what was expected of me, either in high school or in college. Otherwise, if I had realized that this is what I wanted to do, I probably would have gone onto the academy and worked in a college. But because I was such an unpredictable nutcase I wanted to do a lot of different things. I always wanted to work in television and I got to work in public television for six years. I always wanted to be in politics. Not to be the candidate, but to work in politics. And I got to work in a United States senate campaign, in mayoral campaigns, in congressional campaigns, and in gubernatorial campaigns and worked for a governor and a mayor. So I got that out of my system. Then to be asked to work at the Metropolitan Museum, the greatest cultural institution in the country, was the icing on the cake. And that’s been 16 years…during which time the Director and the President have encouraged me to lead my double life as a scholar as well. HH: …and better citizens as well. You know you don’t have to be a historian but it’s good to know your past because that’s the way you can trust the future. HH: History has great stories, and great stories are entertaining. And I think this political season has been great for history because history is being made as we speak. And I think kids know that. And I think they’re excited about it and they’re thrilled to be living through it. If you don’t know that this moment is historic, no matter who wins this election, the people will know. But it’s either going to be an African American man or the first woman on a national ticket. And these are times that really shake things up. And how did we get here? Why didn’t we get here sooner? That’s what we should want to know. And I think people do want to know more than ever. BC: I did gloss over your interest in show business so if I can just back track a second I know that this is a love of yours. Did you want to share a story or two from this area of you life? HH: Well you know. I really think that Lincoln is a character who needs to be brought to life and not only on the page. And that’s why I’ve been lucky enough for these last 8 or 9 years, to do a series of performances with Sam Waterston from Law & Order who I’m sure you know. BC: So you take your show on the road? HH: Yes, we take it on the road! And we’re going to do it one last time by the way. Ford’s Theatre on February 26th and then we’re going to close it down forever. BC: How does one get a ticket to that? HH: I think they’re going to be easily available and free! So people just have to check in with Ford’s Theatre because it’s not part of their regular theater program. They’re doing a series of Lincoln events. So I think it’s going to be exciting. And I think it’s going to be accessible. I hope we fill it up. And I’m sure he will. You know…I don’t think I’m the attraction! HH: And now I’m starting to do some of these with Richard Dreyfuss, which is a whole different story. Sam Waterston is like meeting a Shakespearean actor. But Richard Dreyfuss is more like meeting me, because he sort of is, I’m not going to say a Mini Me, because I’m his Mini Me! He and I grew up in the same area and if he had not left for California with is dad when he was about 10 he and I, and my wife, would have all gone to the same high school in the same year. So we’ve become close. I did go to see a movie recently. I got to see “W” with him in it and it was a lot of fun. And he’s done Lincoln now. So it’s a whole different kind of Lincoln, but it’s great fun. HH: Well, if anybody who is not completely exhausted and wants more information, I do have a website. And I correspond with people on the website. There are also my book things and appearances and pictures. It’s Harold Holzer.com. And I hope people visit me there and I’d love to talk to them. BC: Absolutely. I’ll post it at the bottom of this blog and add a link on the blog as well. So, for the last question, what does Harold Holzer have planned over the next 2 to 3 years? HH: I’m glad you asked! HH: Probably not a good idea for marketing purposes! HH: I’ll need a special marketer to have so many other things going on so soon. But I am the co-editor of a catalogue that’s coming out for the Library of Congress exhibition. It’s called “In Lincoln’s Hand”. It’s going to be a beautiful collection of absolutely gorgeous scans of some of Lincoln’s greatest letters and speeches from his childhood to his death. Never reproduced so beautifully and each one is going to be accompanied with a commentary by a distinguished observer. We have all four ex-Presidents, Sam Waterston, Steven Spielberg, Liam Neeson. Great writers like Tony Morrison and Adam Gopnik and E.L. Doctorow and, I know I’m forgetting people, but we’ve really got a wonderful list of people. So that’s one project. Then I’ve got a book coming out from the Library of America called “Lincoln Anthology” which is a collection of great literature about Lincoln over the last 150 years. Ranging from William Cullen Briant on though Whitman and Sandburg, up to Gore Vidal and ending with Barack Obama’s speech in Springfield when he announced his candidacy for President. So that’s a big project. And then I’m the guest curator and historian at an exhibition at the New York Historical Society next fall called “Lincoln and New York”. Yes there is a New York story and we’re going to tell it. And I’m sure we’re gonna make every effort to take complete credit for Lincoln ‘cause that’s what New Yorkers do. HH: And I think that’s enough for awhile. BC: Do you have a favorite Lincoln quote? HH: A favorite Lincoln quote! You know, I’ve become so immersed in the period between the election and the inauguration that my new favorite quote is a very unserious one. When Lincoln got really angry and the people were expecting him to talk too soon, about too much, and to sooth and beg the South to let him be President, even though he felt he’d legitimately won the election, he said “I will not be a sucked egg, all shell and no insides!” That’s my new favorite quote. HH: None of us wants a president who’s a sucked egg! We want them whole. And hopefully that’s what we’ll have with our new president as well. BC: This has been a wonderful interview and I want to thank you Mr. Holzer for joining me today and sharing your thoughts with my readers. As mentioned earlier, you have a new book out “Lincoln President-Elect: Abraham Lincoln and the Great Secession Winter 1860 -1861”. And you folks out there need to look it up and read more from this great scholar. HH: Barry, thank you very much. BC: You’re very welcome. Thank you. Since the interview, the country has elected its next President of the United States in Barack Obama. As Mr. Holzer indicated in this interview, it’s an historic time. It’s living history. Watch it closely. Live it now, and in a few years, remember that you were here to experience it. To close, I have to say that I truly enjoyed this conversation with Mr. Holzer. For me, there is nothing like talking to an expert about something you love. So many holes in one’s education get filled in, resulting in a more complete picture. This interview was recorded live and has been edited (to take out all the ums, ahs and ‘poorly asked questions’ that I stumbled through). If time permits, I’ll post the audio file of the interview so you can hear Mr. Holzer’s words and ‘charm’. He really is a nice man! Mr. Holzer’s generosity cannot be appreciated enough by me. Thank you again. Below is the information I promised earlier. Harold Holzer’s website is: www.haroldholzer.com. Mr. Holzer’s Gettysburg appearances from November 16 – 19 are listed below. Nov 19 • Lincoln Forum “Lincoln Commemorative Coin” unveiling at the Gettysburg Cemetery, 87 Taneytown Road, Gettysburg, PA.
1. Did you know …that during the Civil War, both the Union and the Confederacy diplomatically attempted to find allies in Europe. For various reasons, the two major powers of England and France would not commit to either one. England however, did build warships for the Confederacy and Napoleon III of France showed definite signs of friendship with the South. However the North practiced a high level of diplomacy which helped keep total support of the South from occurring. Still, in 1863, a very unlikely European ally showed their support for the North. Believe it or not, this country was Czarist Russia! 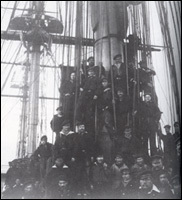 Russian ship Osliaba arrives in Virginia in 1863. Mrs. Lincoln accompanied by General Dix would later visit the ship. From the article “Europe and the Civil War” posted at http://www.civilwarhome.com/europeandcivilwar.htm the following explanation is given. “Singularly enough, the one European country which showed a definite friendship for the Northern government was Czarist Russia. In the fall of 1863 two Russian fleets entered American waters, one in the Atlantic and one in the Pacific. They put into New York and San Francisco harbors and spent the winter there, and the average Northerner expressed both surprise and delight over the visit, assuming the Russian Czar was taking this means of warning England and France that if they made war in support of the South, he would help the North. Since pure altruism is seldom or never visible in any country’s foreign relations, the business was not quite that simple. Russia at the time was in some danger of getting into a war with England and France, for reasons totally unconnected with the Civil War in America; to avoid the risk of having his fleets icebound in Russia ports, the Czar simply had them winter in American harbors. If war should come, they would be admirably placed to raid British and French commerce. For many years most Americans believed that for some inexplicable reason of his own the Czar had sent the fleets simply to show his friendship for America”. Sidebar: President Lincoln was unaware that the Russian fleet was coming and their arrival caught him totally by surprise. 2. Did you know …that on September 3, 1861, one of the top military blunders of the Civil War occurred. The following excerpt is from “The History Buff’s Guide to the Civil War” (pgs. 68-69) by Thomas R. Flagel. 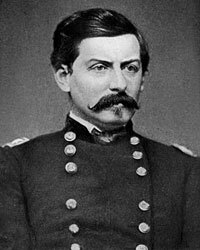 “In a contest over the Mississippi River, an inept Union general almost committed on of the costliest mistakes of the war, then an equally incompetent Confederate general beat him to it. From the outset of the war, the sprawling state of Kentucky had declared its neutrality. Presidents Lincoln and Davis both vowed to respect the wishes of their mutual birthplace. Although beneficial to both men, neutral bluegrass was as good as gold for Davis. Resting on five hundred miles of the Confederacy’s border, from western Virginia across the length of Tennessee’s vulnerable north boundary, Kentucky stood directly between the Southern heartland and five Union states. The only land avenues left into Dixie were tumultuous Missouri and the stone wall of Virginia. All this mattered little to self-aggrandizing Union Gen. John C. Fremont and equally shortsighted Confederate Gen. Leonidas Polk. Both eyed Kentucky’s jagged westerly tail as prime, unclaimed real estate for controlling the mighty Mississippi. As it turned out, both generals targeted Columbus, Kentucky, a small, undefended town tucked neatly in a strategically exquisite bend in the river. Consulting neither their presidents nor their War Departments, each man positioned himself for the first strike, Polk in Union City, Tennessee, and Fremont across the waters in Belmont, Missouri. Polk was the first to move. He crossed the Tennessee-Kentucky border on September 3, 1861, and snuggled into Columbus the following day. Hearing of Polk’s unilateral act of political idiocy, Tennessee Gov. 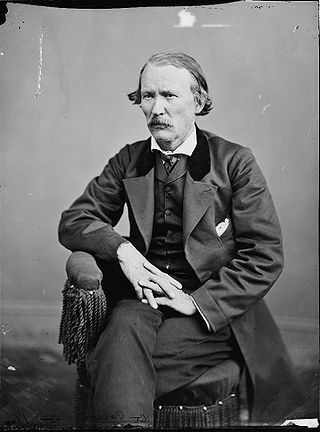 Isham Harris, Confederate Secretary of War Leroy Walker, and Jefferson Davis demanded that Polk withdraw back to Tennessee. An indignant Polk, took the orders under advisement and declined. Repercussions were swift. Armed with the moral high ground, Union forces took two days to occupy Paduch in the west and Frankfort in the north. In two weeks, the government of Kentucky declared allegiance to the Union. A vast roadblock to the Confederacy had become an open passage”. Despite his huge blunder, Polk continued to command Confederate soldiers during the Civil War. He was involved in the battles at Shiloh, Perryville, Stones River, Chickamauga & Marietta. His overall field record as a commander was poor. However, despite his inability to be a successful military leader, his men adored him. Unfortunately, Polk would not live to see the end of the war as he was killed on June 14, 1864 during the Battle of Marietta. Gens. Polk, Johnson, Hardee and their staffs had been scouting enemy positions from atop Pine Mountain, near Marietta, Georgia when Federal artillery troops starting shelling their location. Several rounds came close and as the party scattered, Polk was hit by a 3″ Hotchkiss shell and killed instantly. He was deeply mourned by his men. 1. 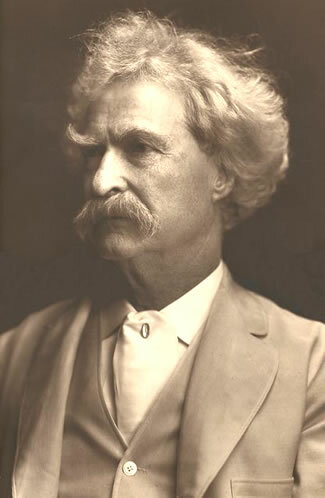 Did you know … that in 1861 Samuel L. Clemens, aka Mark Twain, along with some friends, joined a volunteer Confederate militia in Missouri (which was a non-Confederate state) and trained for about two weeks before reconsidering and disbanding the group entirely. Instead, he headed west to Nevada and California for the remainder of the war where he worked as a miner, newspaper reporter and writer. 2. Did you know … that early in the war there was a process set up by the North and South to exchange prisoners. Based on a system used during the War of 1812 between the United States and Great Britain, prisoners would be exchanged rather than confining them. Or, failing that arrangement, the captured men could be paroled, meaning that the soldiers would be freed but not allowed to return to their units until they were notified they had been officially ‘exchanged’. 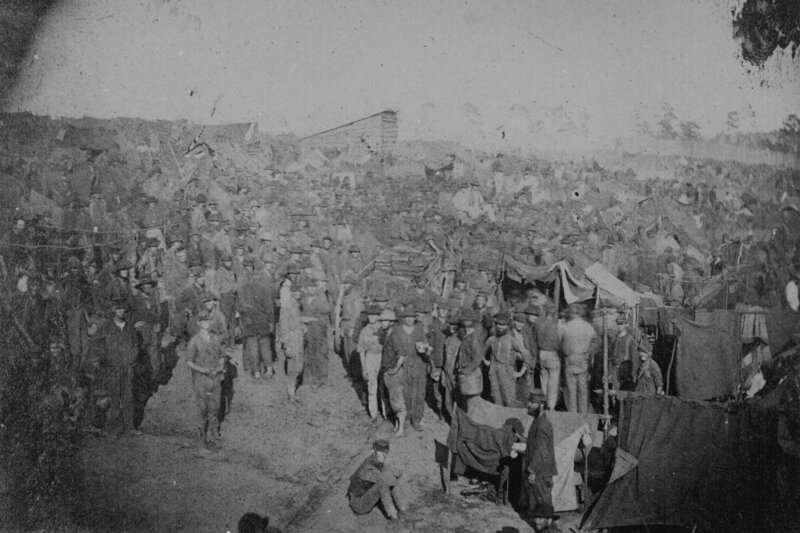 1862 Union Camp in the Shenandoah Valley guarding Confederate prisoners. During the first two years of the Civil War, this mutual arrangement worked out, for the most part. 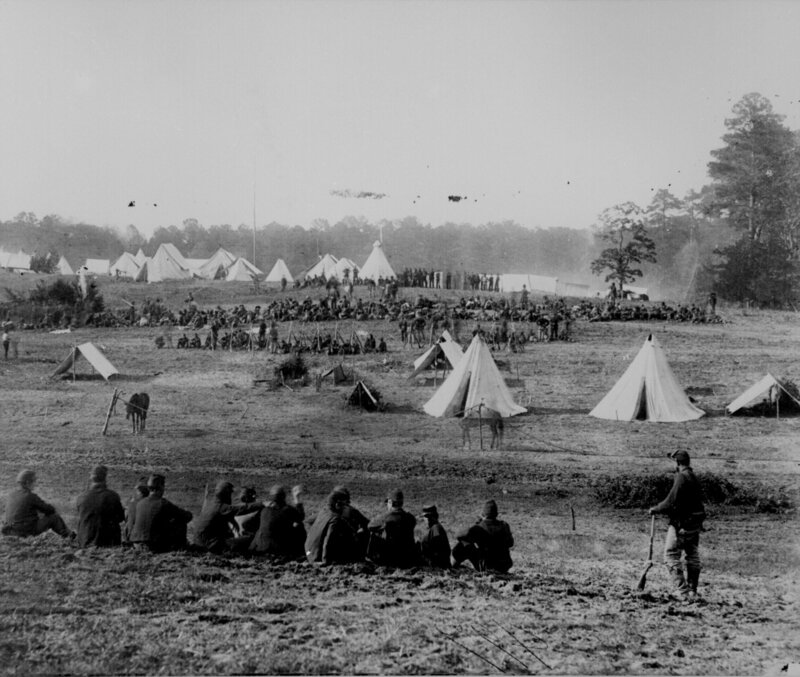 However it began to fall apart in the fall of 1863 when the Union discovered Conferate parolees, who had not been officially exchanged, fighting at the Battle of Chickamauga. To add to the dilemma, the South refused to treat white and black prisoners equally which resulted in some black soldiers being sent back into slavery or worse, massacred (as did happen at Fort Pillow in 1864). From September, 1863 to January, 1865 (fifteen months) the prisoner exchange program was suspended leading to severe problems for both sides with overcrowded prison camps which were ill-equipped to handle the volume of the captured soldiers. 3. 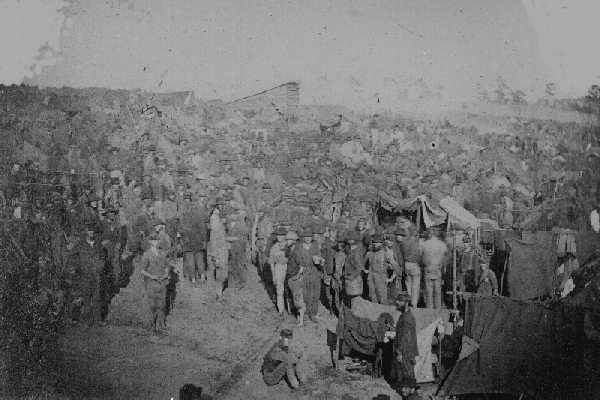 Did you know …that prison camps during the Civil War were horrific places with severe overcrowding, little food, rampant disease, terrible sanitation conditions and little or no shelter from the elements. According to “The History Buff’s Guide to the Civil War” by Thomas R. Flagel (2003), “A Civil War soldier marching into battle stood a one-in-thirty chance of dying. If he stepped into one of the 150 stockades, warehouses or forts serving as prison camps during the war, his odds fell to one-in-seven. More than fifty-seven thousand soldiers died in prison during the war, just shy of all the American soldiers lost from all causes in Vietnam”. 1. Andersonville, Georgia (Confederate). 10,000 – 33,000 prisoners. Deaths – 12,919. 2. Camp Douglas, South Chicago, Illinois (Union). 6,000 – 12,000 prisoners. Deaths – 4,454. 3. Point Lookout, Maryland (Union). 10,000 – 22,000 prisoners. Deaths – 3,584. 4. Salisbury, North Carolina (Confederate). 2,000 – 10,000 prisoners. Deaths – 3,479. 5. Elmira, New York (Union). 5,000 – 9,400 prisoners. Deaths – 2,993. 6. Florence, South Carolina (Confederate). Peak 15,000 prisoners. Deaths – 2,973. 7. Fort Delaware, Pea Patch Island, Delaware (Union). 10,000 – 12,600 prisoners. Deaths – 2,460. 8. Camp Chase, Columbus, Ohio (Union). 4,000 – 9,400 prisoners. Deaths – 2,260. 9. Rock Island, Illinois (Union). Peak 8,600 prisoners. Deaths – 1, 960. 10. Camp Morton, Indianapolis, Indiana (Union). 2,000 – 5,000 prisoners. Deaths – 1,763. 1. Did you know … that during the years of the Civil War (1861 – 1865) the Atlantic hurricane seasons were very weak. Only a handful of hurricanes and tropical storms were recorded from each year, and from those, very few made landfall. However, in early November, 1861, a hurricane did hit the east coast of the United States that directly affected the Civil War. Known as the “Expedition Hurricane”, the storm began as a tropical storm on November 1, 1861 in the southeast Gulf of Mexico, moved across Florida and up the east coast. It reached hurricane strength (Category 1) on November 2nd, hitting the Outer Banks of North Carolina during the day before weakening to a tropical storm by nightfall. Continuing northward, the storm made landfall in Massachusetts on November 3rd and eventually lost strength throughout the rest of that day. The reason the hurricane was known as the “Expedition Hurricane”, was because the Union had launched the largest fleet of warships and transports ever assembled (over 75 ships and 12,000 soldiers) on October 29, 1861. It was known as the Port Royal Expedition and was intended to set up a naval blockade at Port Royal, South Carolina. However, when the expedition encountered the hurricane on November 2nd off the coast of Cape Hatteras, NC, the fleet was scattered and three ships were sunk. Eventually the expedition regrouped and one by one, arrived at Port Royal. On November 7, 1861 a short battle ensued between the fleet and the two forts guarding the port; Fort Beauregard and Fort Walker. The fleet was overpowering and the battle was easily won by the Union. A letter from Gustavus V. Fox to Abraham Lincoln (Naval Affairs) on Tuesday, November 05, 1861 alludes to the storm that hit the Union naval fleet. This is from the Library of Congress web site. See link below. 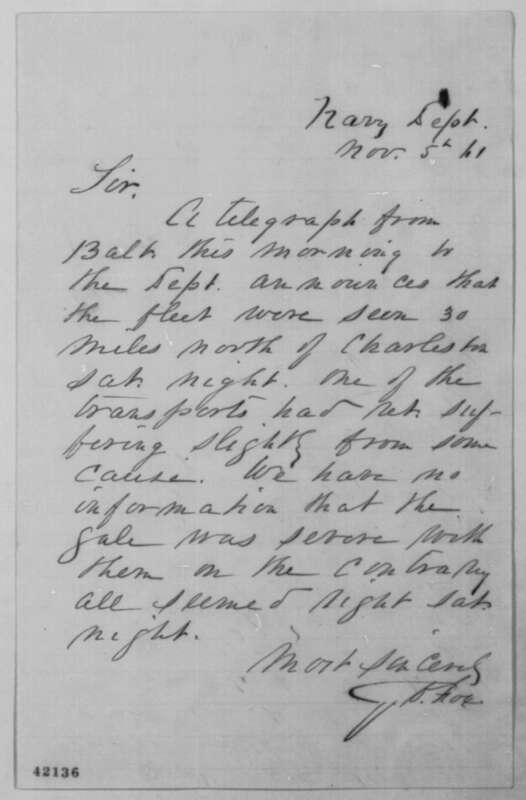 A telegraph from Balt. this morning to the Dept. announces that the fleet were seen 30 miles north of Charleston Sat. night. One of the transports had ret. suffering slightly from some cause. We have no information that the gale was severe with them on the contrary all seemed right Sat. night. 2. Did you know … that horses suffered heavy casualties during the Civil War. The armies used horses to not only act as heroic steeds for the Cavalry, but also to transport men, supplies, artillery and equipment. In the Battle of Gettysburg, it is estimated that over 3000 horses were killed during the three day confrontation! 3. Did you know … that, according to estimates, there were about 280,000 Federal deserters from the Union military and another 110,000 deserters from the Confederate ranks. All told, about 11% of the entire military forces from both North and South deserted. Although the punishment for desertion could be as severe as death by firing squad (or hanging if the offence involved treason or other henous crime), it was left to the discretion of the court martial to determine. According to Florida Reenactors Online, “Approximately 500 soldiers (north and south combined) were executed for capital crimes. 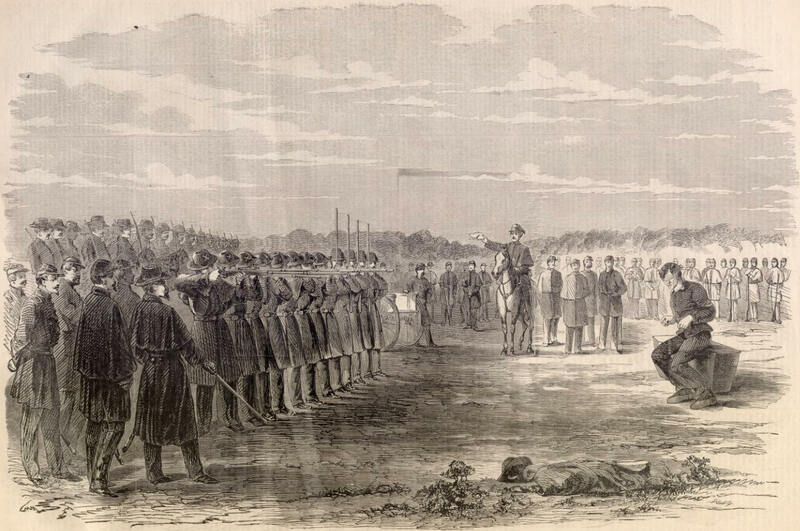 The Union army’s records show that they executed 267 men. This included 147 deserters, 67 murderers, 19 mutineers, 23 rapists and 11 others for various crimes”. For more information on Civil War desertion and other offenses and punishments during the Civil War, please read “Crimes and Punishments in the Civil War (Parts 1 and 2) – Crimes and Offenses”, see the two links below. If you are interested in this country’s history and the Civil War holds a particular interest, then you should consider a road trip running north to south, or visa versa, between New York and Florida. Almost every town along the way was involved in the Civil War conflict in one way or another and each marks their involvement with historical markers, cemeteries, statues, museums and even battlefields. In a recent road trip from Toronto to North Carolina, I experienced many of these towns and enjoyed discovering their local Civil War stories and flavor. However, the grand daddy of them all had to be Gettysburg, the site of the largest and bloodiest battle to ever be fought on American soil in history. On July 1-3, 1863, the three day battle was fought in Union territory between the defending Federal Union army and the Robert E. Lee’s advancing Confederate troops. Although both sides suffered tremendous losses (over 51,000 dead, wounded or missing), the Confederate army could not sustain the fight and Lee ordered his army to pull back into Virginia. 2008 marks the 145th anniversaries of the battle as well as Abraham Lincoln’s Gettysburg Address which he gave at the dedication to the Gettysburg National Cemetery on November 19, 1863. Gettysburg is located in the southern part of Pennsylvania just a few miles north of the Maryland border. The main highway Business US 15 took me right into the center of town. Although there are many attractions and non-Civil War related things to see and do in the Gettysburg area, I will address the ones that relate the history itself. For more information on attractions and events, go to www.gettysburg.travel . To truly appreciate the Gettysburg experience, you must give yourself no less than one full day. Two days is highly recommended. I will quote information from the Gettysburg National Military Park Pennsylvania brochure put out by the National Park Service, U.S. Department of the Interior. It will be in italicized font. Where I add other information will be in regular type face (non-italicized). The fighting at Gettysburg is history. Upon these peaceful, till Pennsylvania fields, more men fell than in any other battle fought in North America before or since. Many of the Union soldiers who died here are buried in Soldiers’ National Cemetery where Abraham Lincoln delivered that poignant statement of purpose – the Gettysburg Address. Much has been written and said about this, the greatest battle of the Civil War. There are also many treasured artifacts collected in museums here and across the country. But the most tangible link to those three days in July is the battlefield itself, parts of which look much as they did in 1863. Fences, hill, rocks, cannon and even the monuments provide an opportunity to ponder and try to understand what happened here. You have probably come to Gettysburg by car. By following the Self-guided Auto Tour on the other side of this brochure, you can easily drive around the battlefield in two to three hours. At most of the numbered stops, exhibits and tablets describe significant action during the three days of battle. The Gettysburg National Military Park Visitor Center and Museum contains the film “We are Met on a Great Battlefield,” the “Battle of Gettysburg” cyclorama, and the Gettysburg Museum of the American Civil War, which place the campaign and battle in the larger context of the war. Note: The Visitor Center and Museum are brand new, having just opened in the spring of 2008. Admission is free to the Visitor Center and Museum only. It is broken up into a series of galleries that cover various aspects of pre-war activities, weapons, uniforms, daily life in the field, and the battle and subsequent aftermath. Each gallery is filled with a volume of artifacts, information and a series of really good AV media presentations timed to run about every five minutes or so. I particularly like the way the museum tells the story of the three day battle by running an AV presentation segment for each. As one ends, you leave that gallery to go to then next where the story is picked up again in another presentation. This process is done with the intention of moving the crowds along from ‘station to station’ and keeps the traffic flow going. Although finding your way from gallery to gallery can be confusing once in awhile it’s still a wonderful experience. Again, give yourself adequate time to go through the entire museum (several hours) and the also see the film and cyclorama program (which will be mentioned below). Artifact highlights for me included seeing Robert E. Lee’s field office furniture (such as his sleeping cot, desk, etc); the stretcher which carried the mortally wounded General Stonewall Jackson on, after his own men accidently shot him; and the display on John Brown, the abolitionist who took matters into his own hands at Harper’s Ferry. He killed several people during the event and was arrested, tried and hung. The door from his prison cell is displayed along with a hand written letter from the widow of the husband who Brown killed. The building also contains a book and museum store, a “Refreshment Saloon” food service area, licensed battlefield guides, current schedules of ranger-conducted programs, and information about visiting Eisenhower National Historic Site. For a fee ($55.00 at time of writing), a licensed battlefield guide will conduct a two-hour tour of the battlefield in your auto or bus (Note: I did not get an opportunity to take this tour, but from those who have, I understand that it is well worth it!). Groups and individuals may make advance reservations for the Theater/Cyclorama experience, a tour with a licensed guide, and a visit to Eisenhower National Historic Site by calling 1-877-874-2478. During summer months, park rangers give walks, talks, and programs at various locations on the battlefield to help you understand the battle and its impact on the soldiers, civilians, and the nation. The best way to sense the land and Gettysburg’s past is to walk the battlefield as thousands of soldiers once did. The Cemetery Ridge Trail, about 1.5-miles long, begins at the visitor center and covers the ground defended by Union soldiers in repulsing Pickett’s Charge. The National Cemetery Trail begins at the National Cemetery parking area and covers the cemetery grounds, where the Union dead from the battle are interred and Abraham Lincoln delivered the Gettysburg Address. For longer hikes, inquire about the 9.5-mile Billy Yank Trail or the 3-mile Johnny Reb Trail. Both trails are used by the Boy Scouts of America as part of their Heritage Trails Program. For information about motel accommodation, restaurants, privately owned campgrounds, museums, and other facilities in the community, check at the visitors’ center with a representative of the Gettysburg Convention & Visitor Bureau. You can also write them at P.O. Box 4117, Gettysburg, PA 17325, or check www.gettysburg.travel. For more information contact: Gettysburg National Military Park, 1195 Baltimore Pike, Gettysburg, PA 17325. Phone: 717-334-1124. Website: www.nps.gov/gett. Some of the other ways to experience Gettysburg, including other historical attractions are as follows: This information is taken, in part, from the Official 2008 Gettysburg Convention & Visitors Bureau Attractions and Dining Guide. 145th Anniversary of the Gettysburg Address, Soldiers’ National Cemetery, Gettysburg; 717-337-6590. Remembrance Day Parade and Ceremonies, Downtown Gettysburg; 717-334-6274. Candlelight Christmas Tour, Shriver House Museum, 309 Baltimore Street, Gettysburg; 717-337-2800, www.shriverhouse.org. There are many other events listed in the guide. Please go to www.gettysburg.travel for more details. On pages 8 to 23, there are over 50 attractions listed that would take you probably two-weeks to see them all. However, here is a very brief highlight of some of the things you can see and do while in Gettysburg relating to the history of the event. 297 Steinwehr Avenue, Gettysburg; 717-334-6245, www.gettysburgmuseum.com. History comes alive! Utilizing life-sized wax figures, the two-part guided tour features 35 dioramas, followed by a digitally enhanced Battle of Gettysburg re-creation. Presentation includes with an animated Abraham Lincoln delivering the immortal Gettysburg Address. Great orientation to the four-year conflict; a must see for all ages. American Stories Historic Walking Tours & Programs. By appointment; 717-624-8154. Association of Licensed Battlefield Guides. Private guides tested and licensed by the National Park Service. Tours provided in the comfort of your own vehicle; 877-874-2478. Battlefield Driving Tours. CD & Cassette self guided tours. Various locations; 717-337-1217. David Wills House. Museum about President Lincoln and the Gettysburg Address. The David Wills House is the home where President Lincoln spent the evening (Nov 18, 1863) the night before he delivered the Gettysburg Address on November 19; 717-334-1124. www.mainstreetgettysburg.org. Fields of Freedom at Gateway Theater. 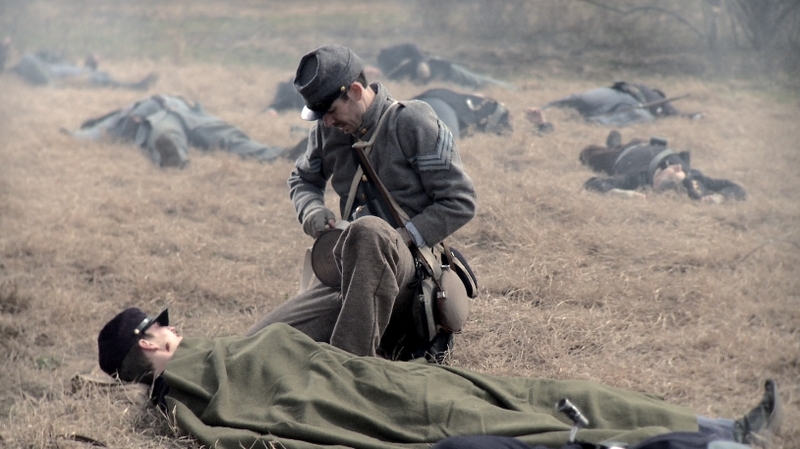 “Through discovered diaries, the 30-minute film immerses you in the lives of two soldiers preparing for the onslaught and unimaginably heroic charge, the ferocity of the battle and the anguish of its aftermath; 717-334-5577. www.gatewaygettysburg.com. General Lee’s Headquarters. Historic Civil War Museum is housed in the Gettysburg headquarters of Confederate General Robert E. Lee where he and his staff planned the Battle of Gettysburg; 717-334-3141. www.civilwarheadquarters.com. Gettysbike Tours. Guided bike tours by a National Park Service Licensed guide or rent a bike for your own touring; 717-752-7752. www.gettysbike.com. Gettysburg Battlefield Bus Tours. Licensed bus tours open year round. 717-334-6296. www.gettysburgbattlefieldtours.com. Gettysburg Expedition Guide by TravelBrains. The Guide includes a computer CD-ROM, a driving tour (tape or CD) and a 56-page full-color guidebook filled with detailed maps, photographs and trivia. Available online and at the Gettysburg National Military Park Visitor Center. 888-458-6475. www.travelbrains.com. Gettysburg National Military Park Museum & Visitor Center (previously mentioned above). 866-889-1243. www.gettysburgfoundation.org. 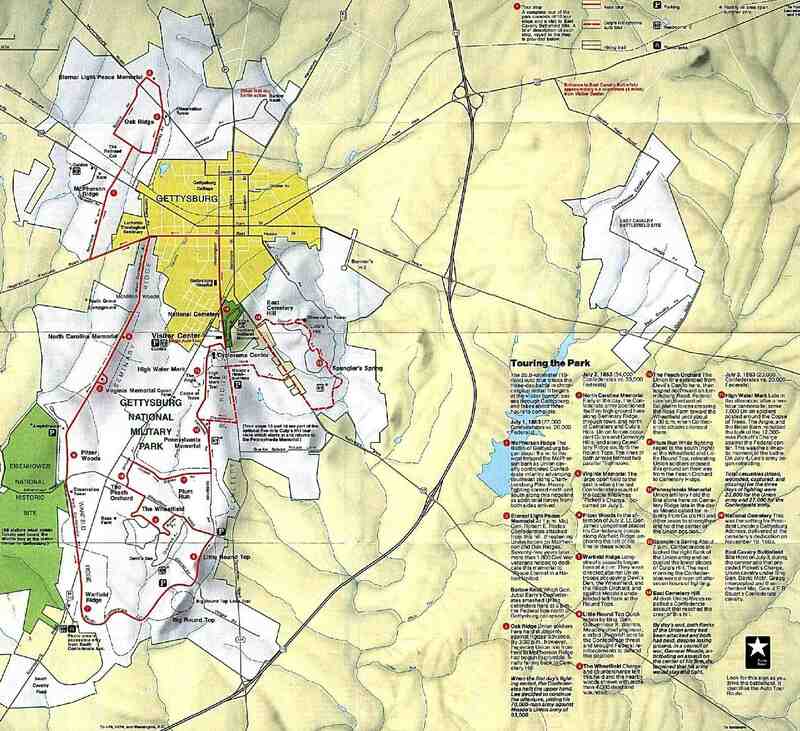 Gettysburg National Military Park & Ranger Tours. Offers a full range of summer ranger programs, battlefield walks, evening campfire programs, special events, living history groups and band concerts related to the Battle of Gettysburg and President Abraham Lincoln’s Gettysburg Address. Available mid-June through mid-August. 717-334-1124. www.nps.gov/gett. Guided Historic Walking Tours. Tours providing quality interpretation and education that gives a better understanding of what life was like for the civilians in a town caught between the battle lines before, during and after the Battle of Gettysburg. 717-339-6161. www.mainstreetgettysburg.org. Historic Battlefield Bus Tours. 717-334-8000. Historic Church Walking Tours. 717-337-0733. www.historicchurchwalkingtours.org. Lincoln Train Museum. Toy train museum featuring over 1000 trains and dioramas illustrating the railroad’s role during the Civil War. Also features the Presidential Train with President Lincoln as he travels to Gettysburg to dedicate the National Cemetery. 717-334-5678. www.gettysburgbattlefieldtours.com. National Riding Stables at Artillery Ridge Campground. Two-hour guided horseback tours of Gettysburg National Military Park. 866-932-2674. www.artilleryridge.com. The Rupp House. 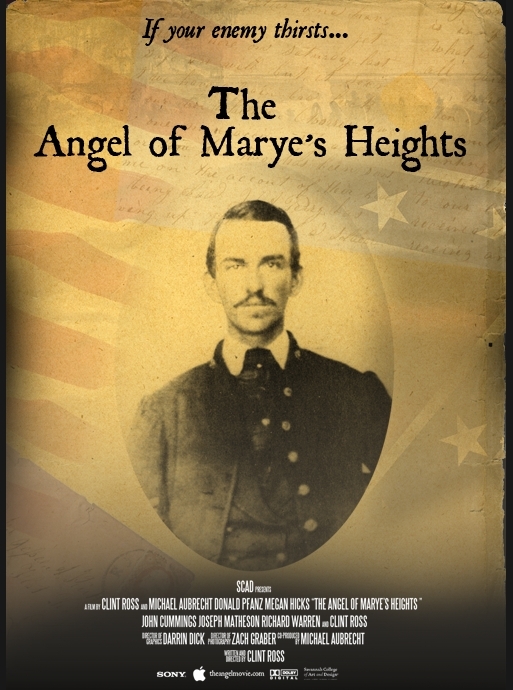 Features exhibits about the Rupp family, who lived in town during the Battle of Gettysburg. 717-334-7292. www.friendsofgettysburg.org. Admission free. Shriver House Museum. Museum highlighting the Confederate occupation of Gettysburg through the story of George and Hettie Shriver who were residents during the Battle of Gettysburg. 717-337-2800. www.shriverhouse.org. Soldier’s National Museum. 717-334-4890. www.gettysburgbattlefieldtours.com. U.S. Christian Commission Museum. Visit the birthplace of Jennie Wade, and hear the story of brave civilians that helped soldiers during the war. 717-339-0339. www.usccgettysburg.org. Underground Railroad Tours of Adams County. By appointment. Tours include a visit to two National Park Service’s Network to Freedom sites, the Yellow Hill Cemetery and the historic Menallen Friends Meetinghouse in Quaker Valley, where free Blacks and Quakers collaborated to help others find freedom. 717-528-8553. http://www.gettysburghistories.com. There are also several ‘ghost and haunted Gettysburg’ tours available in town. NOTE: I have done my best to accurately list correctly the names, phone numbers and website addresses here. If a mistake is found, please let me know and I will fix it ASAP. Thanks and I hope you get a chance to go to Gettysburg one day soon.